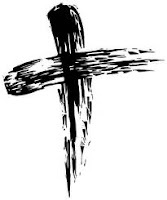 This post was published on Ash Wednesday last year. I’m re-posting it here – this time with an audio recording available. never read a talking blog before – brilliant! Glad you like it…experimenting with different ways of doing things! I must say I do like the audio version. I think it adds more personality to someone’s blog posts. I was just wondering, is there a way to play the recording without sending it to a different page? I would like to read along with you. Just curious. But I really did like it 🙂 And I love the post! Thanks Megan. Am trying to work out how to do that – embedding doesn’t seem to work with the url I’m using…hopefully will get there eventually! Wow! This is amazing. I do prefer to read things though because this way you can control the speed which equals concentration levels. Absolutely – different mediums will suit different people.